Online businesses require a strategic approach to operate, and one that is consistently under review for the best results. With SEO being one of the most important internet marketing pillars, you can never mess up when looking for a web hosting service for your site. Going for a hosting provider with Dedicated Server can however, impact your search engine optimization marketing in several ways. Here are a few of those ways. Have you ever visited a website that took what seemed like centuries to load or process information? The experience is more intimidating and frustrating than going a day without a meal and you’re not on a diet. With most users of websites for online services and products, convenience is the key thing they look at. They want a site that they can rely on when on the go without having to wait ages for the site to process. Even with the best SEO and web design, speed can be affected if you don’t have web hosting from a Dedicated Server, and this can be a direct major blow for all your other SEO efforts. All that slow sites will get you high bounce rates that are never impressive to counter when you realize it. Especially for sites with pictorial features and higher end graphics as well as videos, be sure to go the Dedicated Server way for the best search engine optimization results. 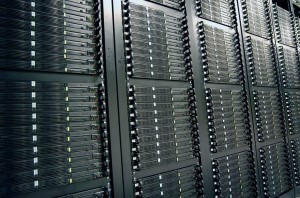 As compared to shared options, Dedicated Servers allow more memory for data storage and backup. This means that you can also use images, videos and more web content without worrying about speed issues. That is a huge plus in online business if you know something about SEO. Apart from looking at the quality of links, content, and keywords as well as conformation with other search marketing guidelines, search engine bots consider the speed and performance of your website when ranking. They also consider the amount of traffic your site receives, which in turn also determines the ROI. In other words, using a Dedicated Server is as much advantageous as other aspects of SEO and web design, and boosts search marketing in overall. No matter how much your website is optimized, you can’t afford dealing with the challenges of having to rebuild a damaged reputation. Consequently, trust and reputation issues are a big blow to SEO. Not only that, they can lead to the banning of your site by web regulators if reported. One of the ways you can establish trust and ensure that your target clients or web visitors feel the reliability of your site is put security measures in place. This is exactly the case when you use Dedicated Server.